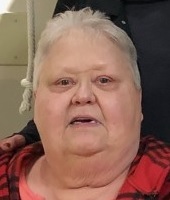 Luzette Honeycutt, 76, of Mooresville passed away Tuesday, March 19, 2019, at Tucker Hospice House in Kannapolis. Born in Iredell County on November 29, 1942, she was the daughter of the late Ora Nadine London Beam and Jessie Young Beam. A graduate of Landis High School, Luzette was a production worker at Fiber Industries. She was a member of Unity United Methodist Church in Kannapolis and loved spending time with family and crocheting. In addition to her parents, she was preceded in death by her brother, Charles Richard Beam. Those left to cherish her memory are her son, Timothy Ray “Tim” Honeycutt (Mary Smith Honeycutt); daughter, Tracie Honeycutt (Bunky Storie); grandchildren, Matthew Scott Honeycutt, Hannah Luzette Honeycutt, Barry Michael Honeycutt, Maxwell Montague Honeycutt; great-grandchildren, Kole Ray Honeycutt, Isaiah Drake, Rylea Drake, and many cousins, nieces and nephews, also survived by Lisa Honeycutt a long time caregiver. Visitation: 10:00-11:00 AM Saturday, March 23, 2019, at Unity United Methodist Church, 8505 Unity Church Rd., Kannapolis, NC 28081. Celebration of Life: 11:15 AM Saturday at Unity United Methodist Church with April Baucom the Rev. Jesse Smith officiating. Memorials may be made to Unity United Methodist Church or Tucker Hospice House, 5003 Hospice Ln., Kannapolis, NC 28081.